An Indian delegation of observers are closely watching the proceedings of the summit this weekend to see whether the grouping would move away from its moratorium on new membership that expired in 2010. In 1997, APEC set a 10-year moratorium on new membership, agreeing in 2007 to consider the issue again in 2010. Meanwhile, India has discussed the membership issue with Indonesia earlier this year at the ASEAN ministerial conference and the ASEAN Regional Forum meeting in Brunei held in July. As mentioned, India also has a subtle yet persistent unofficial presence at this summit. Besides India, there are 11 additional nations who are seeking APEC membership, including Bangladesh, Pakistan, Sri Lanka, Laos, Mongolia, Macau, Costa Rica, Colombia and Educador. Keeping the moratorium intact may not help APEC achieve its goals in the long term given that regional groupings such as the East Asia Summit have members such as Japan, China, South Korea, Australia and New Zealand – all of whom are APEC members. 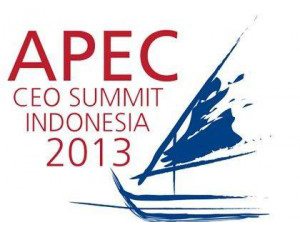 Additionally, all 10 ASEAN nation states are members to the East Asia Summit, yet only a few are members of APEC. “APEC includes not just East Asian economies but several trans-Pacific ones, in tune with India’s emerging interest in economic ties with Latin America,” said former U.S. diplomats Teresita C. Schaffer and Howard B. Schaffer, who have asked Washington to bring India into APEC. APEC consists of Australia, Canada, Chile, China, Hong Kong, Japan, South Korea, Mexico, New Zealand, Papua New Guinea, Peru, Russia, Taiwan, the United States and seven ASEAN members (Brunei, Indonesia, Malaysia, the Philippines, Singapore, Thailand and Vietnam). Many of these believe that India has to be brought into the framework, feeling that India’s military and maritime strength, and its network of strong relations among the region’s major players, can be used to counterbalance China’s economic and military power. India has, for example, been jointly developing oil and gas platforms with Vietnam in the South China Sea. Having India close at hand is also thought to make China more wary of bullying its Asian neighbors over issues such as the Spratly Islands. India is, after all, a nuclear power and also possesses aircraft carriers. India joining APEC would present significant geopolitical value and potential economic reward. Since the formation of APEC in 1989, India has significantly opened up and has become much more aligned with APEC’s goal of “free and open trade and investment.” India is now the third largest economy in Asia, and has become deeply integrated with the region and the rest of the world. APEC’s coordinating mechanisms would do much to greater integrate India economically, as well as increasing its export competitiveness. Karl F. Inderfurth, the former U.S. Assistant Secretary of State for South and Central Asian Affairs, and Donald A. Camp, the former U.S. Principal Deputy Assistant Secretary of State for South and Central Asian Affairs, have also urged Washington to integrate India into APEC. “We should bring India into APEC and the Trans-Pacific Partnership discussions,” they stated. According to analysts, India would have to implement a slew of economic reforms and liberalizing policies if it wished to gain APEC membership. This would effectively reinforce the strategic and economic interests that India’s ‘Look East’ policy has long upheld. “We are not in the APEC yet. Once we get into the APEC then it gives us further opportunity” to take on a larger role throughout Asia-Pacific, said Salman Khurshid, India’s External Affairs Minister, to the Strait Times. Meanwhile, although the acceptance of India into APEC would generally be seen as a good thing, China would likely be against the idea. At present it is strategically close to Russia as a major player within APEC and both have issues with the United States as a senior partner. India would be more likely to take the American line and effectively diminish the Sino-Russian political axis. Additionally, the expansion of APEC to include a total of twelve new countries may make the organization unwieldy. It also makes it harder to cut through the inevitable politicking and get down to trade – which has until now been APEC’s major selling point. Of the twelve mentioned, why not invite North Korea as an observer nation? That may help them understand how global trade works. I personally asked that question of President Putin a few years ago, and his response was guarded, yet relatively positive towards the suggestion. The American delegation, however, drew in a collective and audible breath of highly negative air at the thought. So the question remains – just how inclusive and exclusive does APEC think it should be? If not India, then why not North Korea? It is, after all, rather more Asian-Pacific than Delhi. Meanwhile, for readers interested in the future development of the Asia-Pacific, Asia and the West, delegates have each been provided with a book by Kishore Mahbubani. Mahbubani is Dean of the Lee Kuan Yew School of Public Policy at the University of Singapore, and twice served as Singaporean Ambassador to the United Nations. Foreign Policy Magazine also listed him as one of the top 100 global thinkers in 2005, 2010 and 2011. 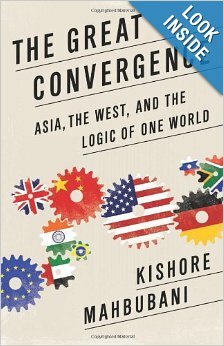 The book is titled “The Great Convergence – Asia, The West, and the Logic of One World.” I haven’t had time to fully digest all the contents yet, however, a quick flick through reveals it to be well worthy of serious attention and I shall be going through it in detail the coming week. I would recommend any of our readers interested in the development of ties between Asia and the West to do the same. Chris Devonshire-Ellis is the Founding Partner of Dezan Shira & Associates and is currently attending the APEC CEO Summit. He will be reporting on discussions and speeches made at the event exclusively on Asia Briefing over the coming days.